One of the hottest cars this year is the Ford Mustang GT. With its new design and plenty of power, it is easy to see what all of the fuss is about in 2015. 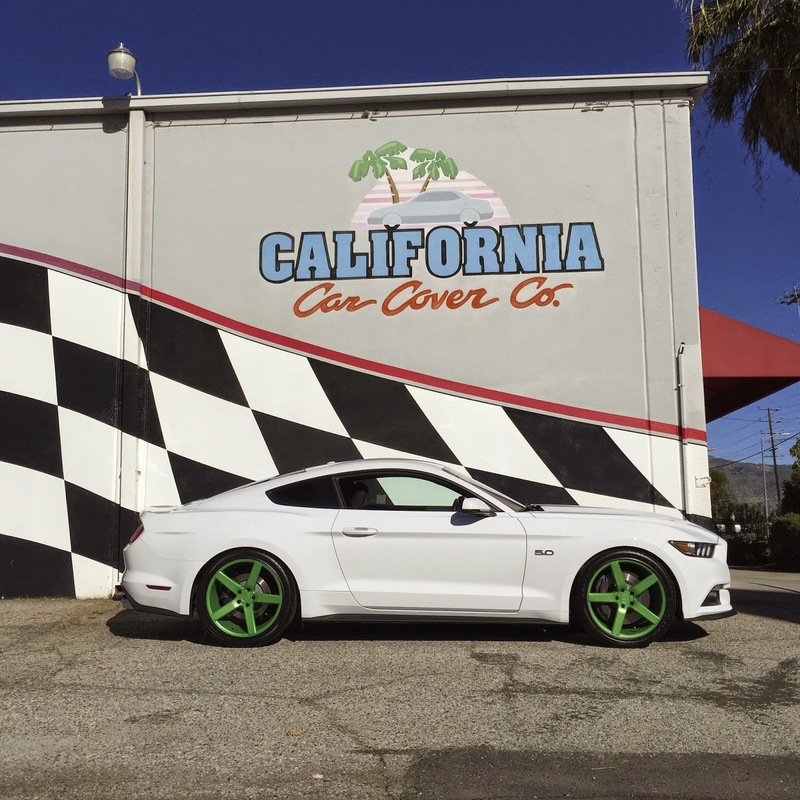 Our friends from Galpin Auto Sports recently brought over one of their custom Ford Mustang GT vehicles to California Car Cover so we could outfit it with some interior and exterior protection products. Do you have a new Ford Mustang GT? If so, then here are a few products below to keep your Mustang looking its best year after year. No visit to California Car Cover is complete without a custom fit car cover. This is one of our custom fit Superweave car covers for the 2015 Ford Mustang. It is a lightweight car cover material that is very durable and protective. The fabric folds down small for easy handling and transport as well. Keep the interior of your Ford Mustang cool with a custom fit sun shade from Introtech. The Ultimate Reflector Sun Shade is highly reflective and well insulated to keep the heat off the dashboard and steering wheel of the 2015 Ford Mustang. It folds accordion style and includes a sleeve bag for storage. 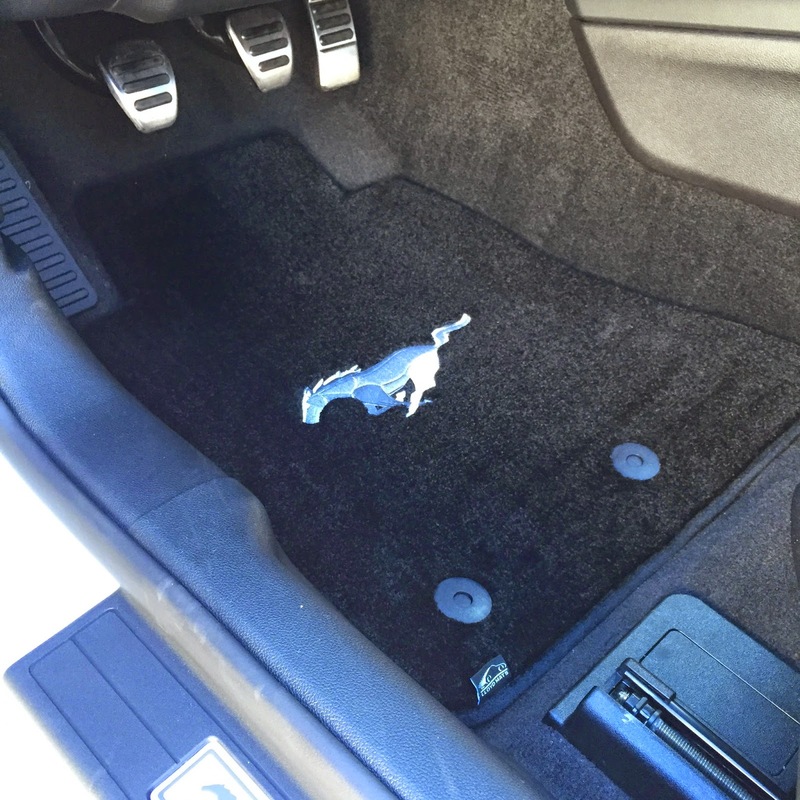 Custom fit Lloyd Floor Mats not only add style to the 2015 Ford Mustang, but protect the interior as well. The mats are available in a variety of carpet colors and there are many optional licensed Ford logos and appliques. View more color choices at California Car Cover. 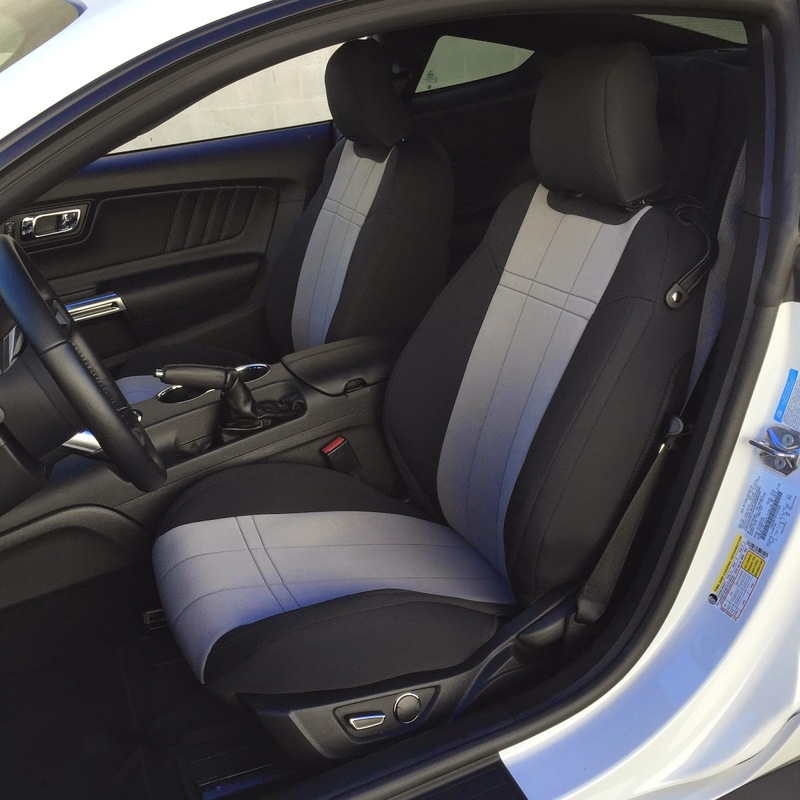 Protect the Ford Mustang factory seats with custom fit seat covers from Cal Trend. We went with a set of the popular Neo Supreme seat covers. These custom seat cover fit the seats well and have attractive styling. Cal Trend does offer many more seat cover colors and styles online. A custom fit dash cover can reduce heat and distracting glare. 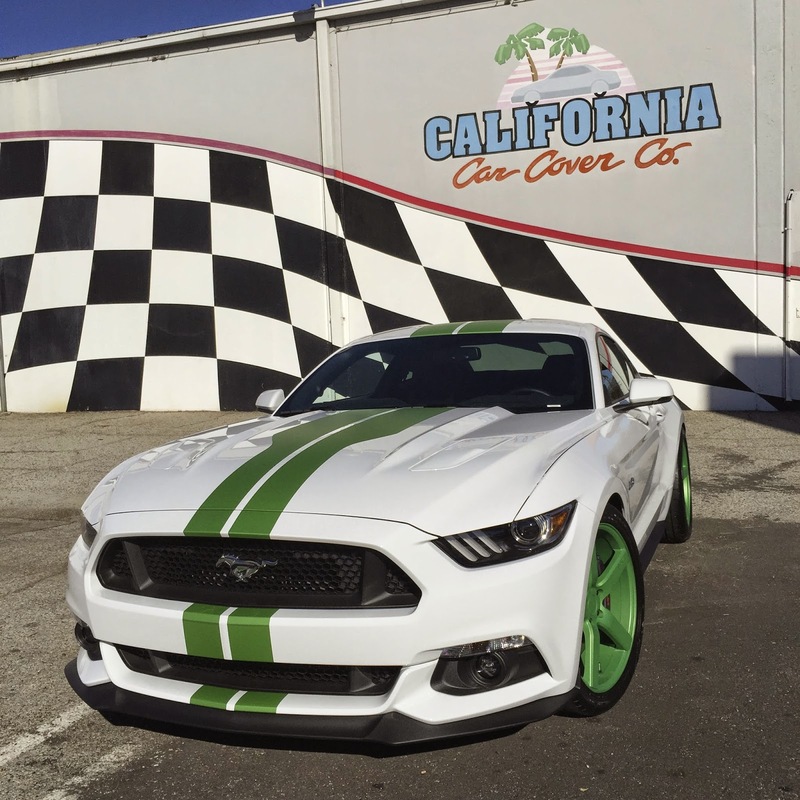 California Car Cover carries a variety of dash covers from Dash Designs for the 2015 Ford Mustang. Custom fit dash covers are available in a number of fabrics and color options. When you are ready to outfit your 2015 Ford Mustang just cruise on over to our showroom in Chatsworth, check out our website or give us a call. Thanks again to our friends at Galpin Ford and Galpin Auto Sports for the assistance.